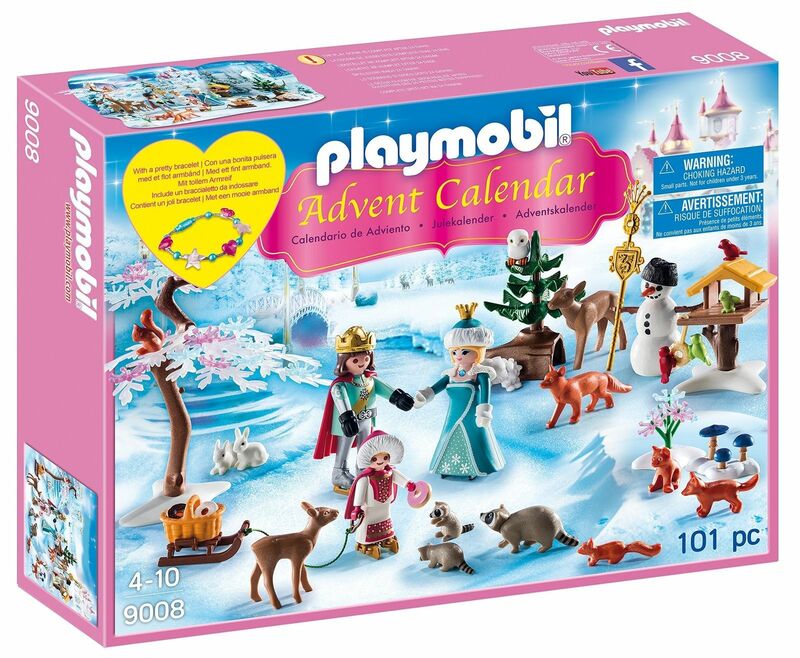 Glide across the Frozen lake with the royal family! 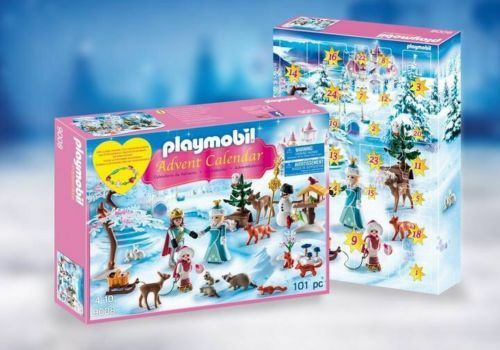 the Advent calendar "royal ice skating trip" contains twenty-four surprise items for each day leading up to Christmas. 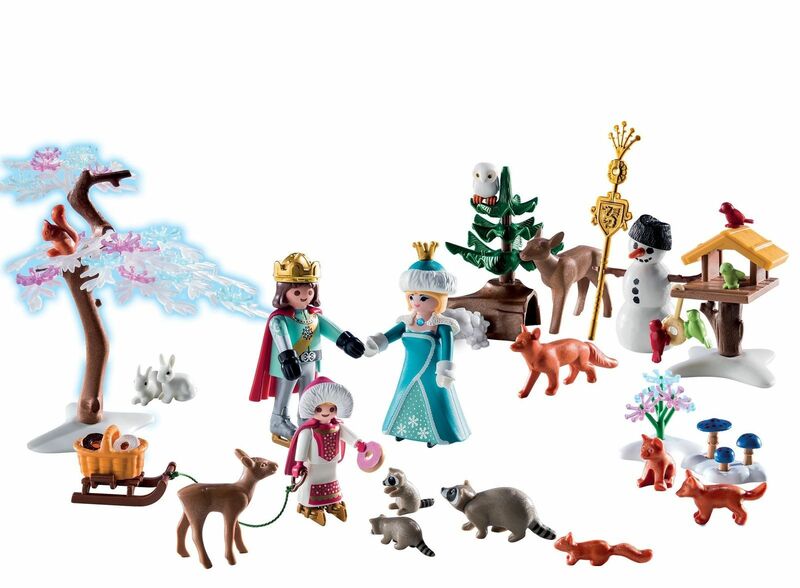 Once all the pieces are revealed, you'll see all the woodland creatures gathered to watch everyone skate. As an added bonus, behind one of the doors is a gorgeous bracelet, perfectly sized for kids to wear! 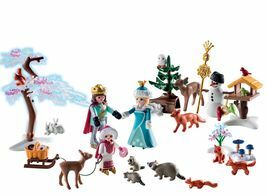 includes backdrop, two adult figures, one child figure, snowman, sleigh, deer, foxes, squirrels, owl, snow-covered tree, life-size bracelet, and many other accessories. Recommended for ages four to ten.